Current news from Tintern village. 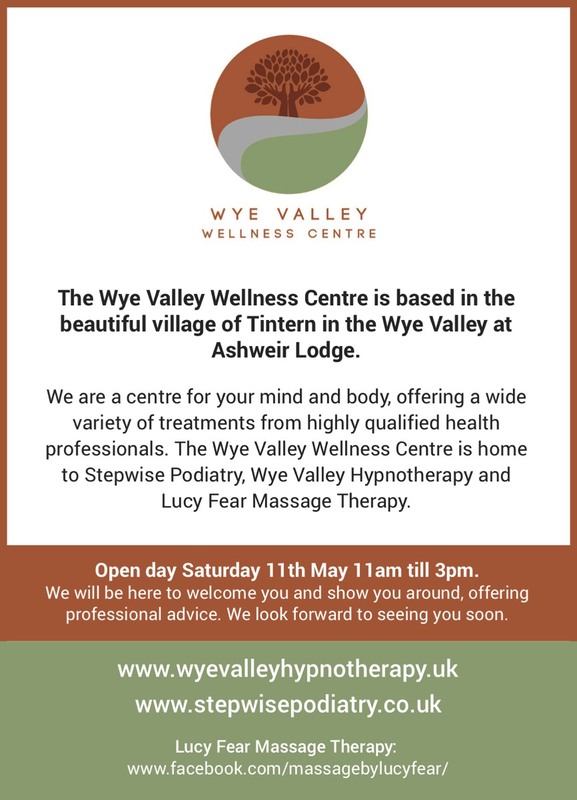 The Wye Valley Wellness Centre comprises Wye Valley Hypnotherapy, Stepwise Podiatry, and Lucy Fear Massage Therapy. They are opening their doors on Saturday the 11th of May to enable visitors to meet them and learn of the wide range of therapies on offer. The Centre is located at Ashweir Lodge which is on the main road through the village, close to Abbey Mill. 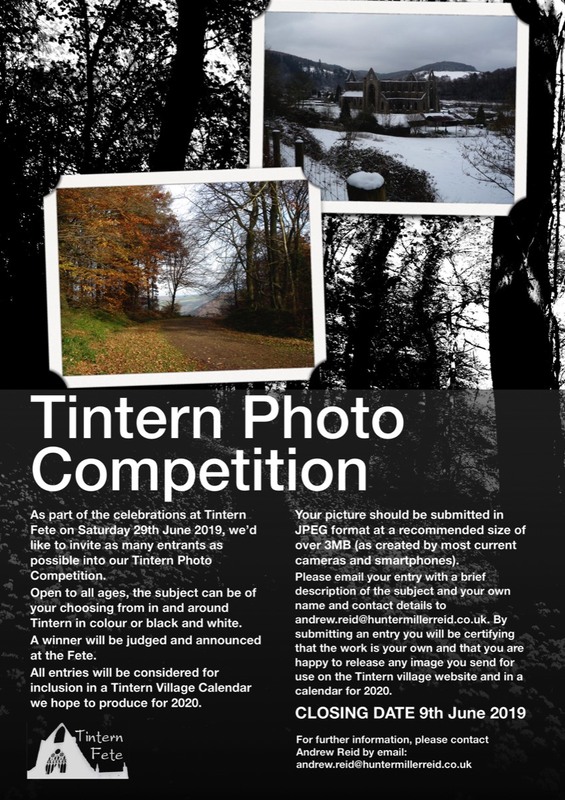 We'd love to have your take on Tintern by having your entry for a Tintern Photo Competition being organised by the Fete Committee. A winner will be announced at Tintern Fete on Saturday 29th June. The aim is to select photographs from the entries for inclusion in a Tintern Village Calendar for 2020. See the poster for details but if you need any more information please get in touch with Andrew Reid andrew.reid@huntermillerreid.co.uk. It definitely feels like spring now and with the clocks changing, we will have lighter evenings to get our work done. 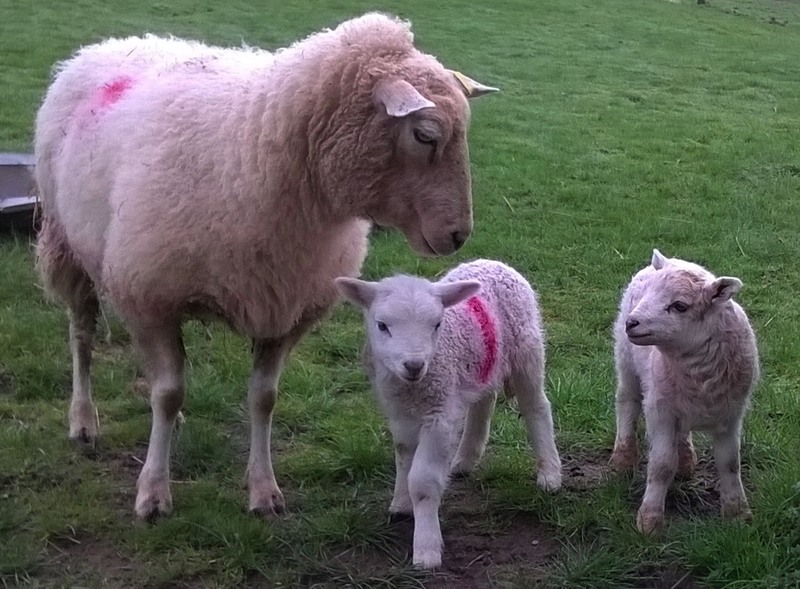 We have already had some lambs- two sets of twins- and by the time you read this, there will be lots of the little woolly things bouncing about. The next few weeks mean hard work and disturbed nights but it is worth it when you can watch the lambs racing up and down the field and doing lamb leaps! Click here to see the full Vineyard news for March. Monmouthshire’s trading standards service is urging residents to remain vigilant after receiving further reports of fraudulent telephone calls from individuals purporting to be from the council tax team. Householders are told they are entitled to a rebate on their council tax bill and the caller then attempts to obtain bank card details. Please click here for the full story. Despite the earlier announcement made in February, Monmouthshire County Council now confirms that work at the Livox site (between Tintern and St Arvans) will start on May 7th rather than April 8th. It is assumed that this will last for approximately seven weeks as before. 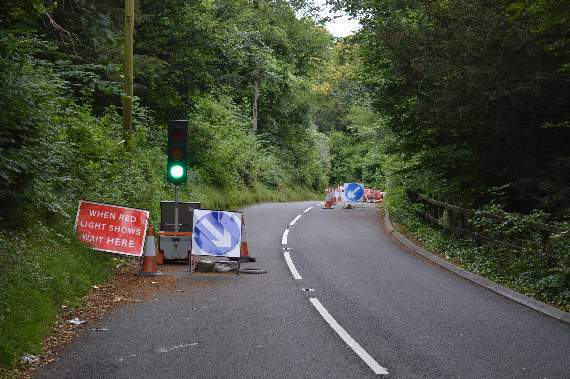 Council sources claim that extended working hours, including weekends, are being allowed and it aims to have the road open before the Tintern Fete being held on Saturday June 29th. A date for work at the Wyndcliffe site is still to be confirmed but it is likely to be delayed until next year. Monmouthshire County Council will take a significant step towards setting its budget for next year when Cabinet outlines a recommended budget at its meeting on 20th February, which will then be considered by full Council on 7th March. It has been a difficult process and we have been listening to feedback from residents about our initial proposals since 19th December 2018. As a result, there are some changes that will be put forward. Free start-up workshops, hosted by Business Wales, are taking place to help people in Monmouthshire who are considering starting or are running their own business. The workshops cover a variety of topics, including developing a business idea, sourcing finance, business planning, pricing and marketing, and will take place between 9.15am and 4pm on Wednesday, 27th February in Abergavenny’s Youth Centre (Old Hereford Road) and in the Bridges Centre in Monmouth on Thursday, 21st March. The courses aim to aid budding entrepreneurs to take the plunge and decide whether self-employment is for them. All workshops are designed and delivered by experienced Business Wales advisers and provide an opportunity to ask questions and network with like-minded people. 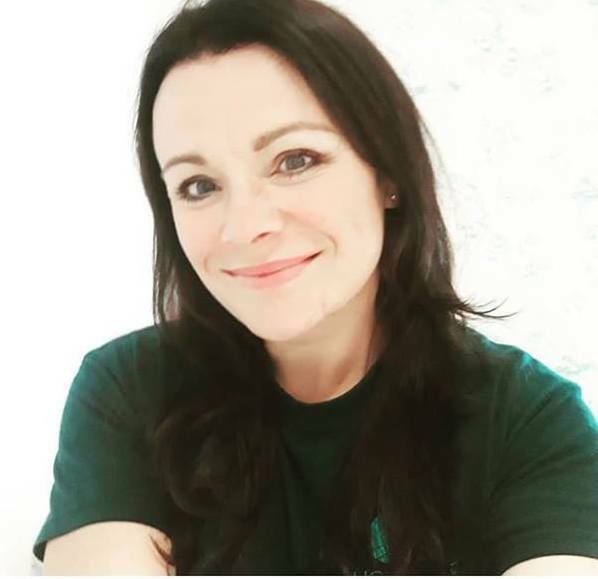 Melanie Phipps, Business Adviser at Business Wales, said: “Our role as business advisers is to share experience, provide practical advice, support and knowledge to instil confidence among people at the start of their business journey. For more information on venues and to book places, visit https://wales.business-events.org.uk/, email southwales@businesswales.org.uk or call 01656 868500. Registration has begun for residents to sign up for the Council’s seasonal garden waste collection and those wishing to use the service must purchase a permit. One permit provides the weekly collection of the contents of one brown garden waste bag which costs £18 per season with no restriction on the number residents can purchase. Garden waste will only be collected if a permit is visible on the bag. 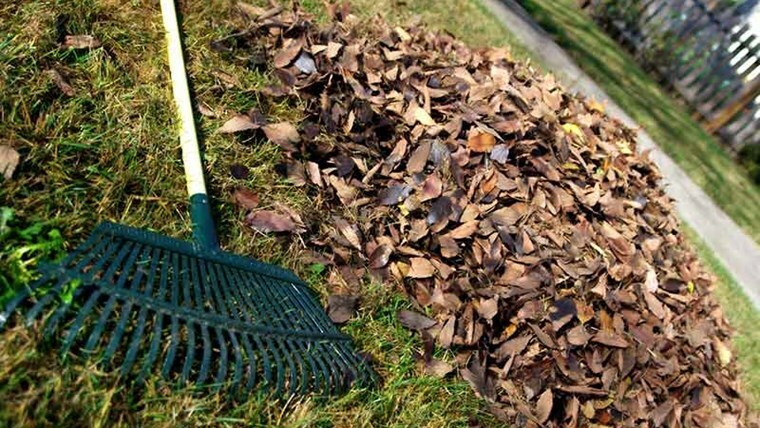 Weekly garden waste collections begin on Monday 4th March and end on Friday 29th November 2019 - no collections will take place from Monday 2nd December 2019 to 28th February 2020. Residents are urged to register now before March 4th to receive your permit in time for the first collection. Phone: 01633 644705 (Monday to Thursday from 9am to 5pm and Friday from 9am to 4:30pm). Once registered, residents must allow up to 14 days to receive a permit. Last year’s customers will receive a letter reminding them to renew their registration soon. Monmouthshire County Council have recently completed works at Site 2 (Livox) which have enabled a full survey of the rock face to be carried out to ascertain the extent of the stabilisation works necessary. With this information, the works on-site are expected to take approximately 7 weeks and the road will therefore be closed for this period week commencing the 8th April 2019. The road will however be reopened over the Easter Weekend. 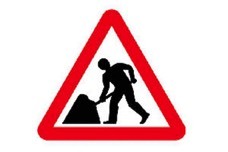 Work on Site 1 (Wyndcliffe) will not now take place until September 2019 and it is planned to close the road again week commencing 2nd September for approximately 7-8 weeks. The date and duration of this closure is to be confirmed. 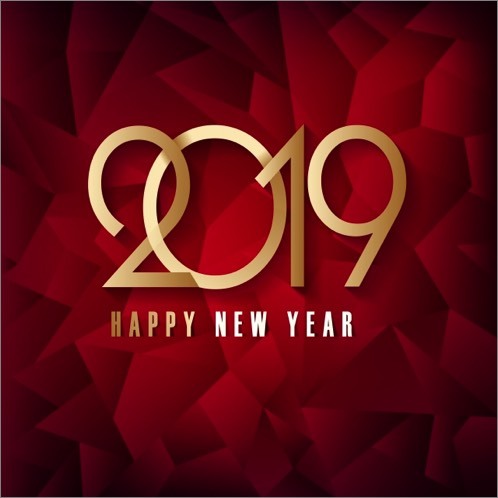 It doesn't seem possible that we are already in the second month of 2019 - it only seems a few days ago that we were celebrating New Year! The weather so far this year has been very kind with plenty of dry days and not too much cold. 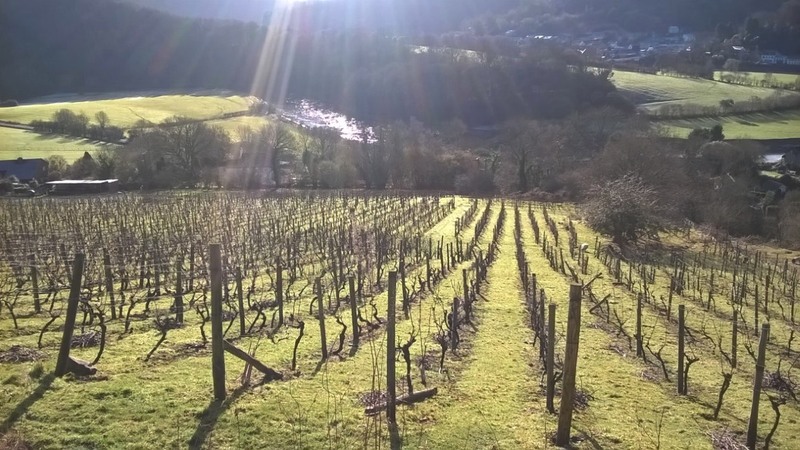 We have been able to make good progress with pruning and most of the vines seem to be in good condition. We have put eight sheep in the vineyard to tidy up the grass for us and do a bit of manuring to feed the vines. Read the complete report from Parva Vineyard. This popular festival has now become firmly established on the UK’s walking calendar. 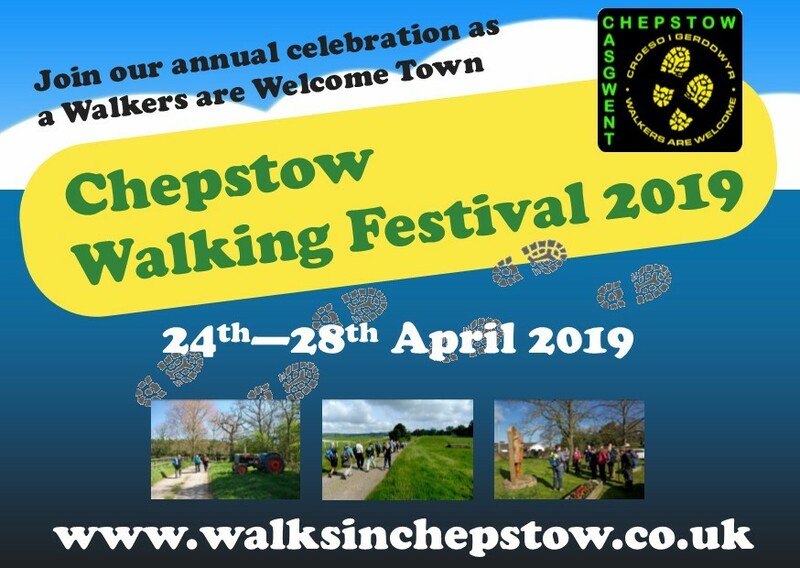 Whether you are a seasoned walker or just enjoy a stroll there will be something in the programme that appeals. 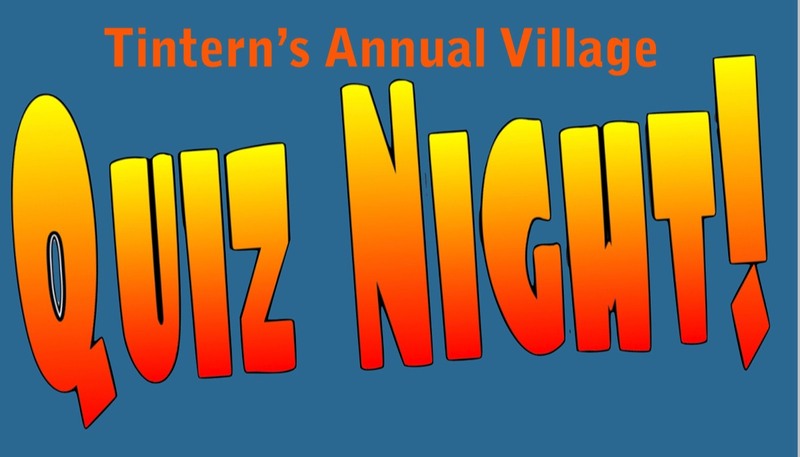 Tintern Village Quiz Night on 26th January a huge success! The Tintern Annual Quiz Night was hugely popular and was sold out well before the event. It raised a brilliant £354 towards funding the Tintern Fete being held on Saturday the 29th of June 2019. The Fete Committee would like to express its grateful thanks to everyone who took part and to The Royal George Hotel for hosting the event and feeding us so enjoyably with its wonderful curries. The event was also fortunate to have the services of Helen Carter and John Livermore who devised the quiz and ran it on the night and of a great team of helpers. Congratulations to the winning team, the Catbrook Cats! A further quiz is being held on Saturday the 23rd of March, this time in Llandogo Millennium Hall. More details will be coming soon. Following representations from Tintern Community Council, Monmouthshire County Council has made important new proposals for traffic routes and improved road signs to be implemented during the closure of the A466 while remedial works take place between Tintern and St Arvans at the sites currently controlled by traffic lights. A display has been put up showing the planned routes and signs at The Wye Valley Hotel and may be inspected there during its usual opening hours. No firm dates have yet been announced for the works but Tintern Community Council hopes to provide further news on this very soon. It is further hoped that a representative from Monmouthshire County Council will attend a public meeting in the village to explain the works in detail. Monmouthshire County Council is proposing changes to its secondary school catchment areas and has launched a public consultation programme with a deadline for responses of Friday, 1st March. If agreed, the proposals will affect primary school pupils living in four areas of the county – Goetre, Trelech, Usk and Llandogo - and any changes will be effective from the start of the 2020/21 academic year. Anyone wishing to respond to the council’s proposals may complete the council’s consultation questionnaire, which is available on its website - www.monmouthshire.gov.uk/catchmentconsultation - or attend one of the consultation meetings the council has organised in February. The consultation report will be published by Wednesday, 27th March and Monmouthshire’s cabinet will consider the results of consultation and agree how to proceed at its meeting on Wednesday, 3rd April. Residents with questions on the proposals should email the council’s Access Unit - accesstolearning@monmouthshire.gov.uk – or telephone 01633 644508. A new edition of the Tintern Business Map is being produced. Make sure you are included and that your entry is up to date. Tintern Community Council are once again in the process of arranging for an update and reprint of the Tintern Business Map as it has proved to be very popular with businesses and visitors. If any businesses currently advertising in the map wish to make changes to their details, or if there are any new businesses that would like to be featured, please could they notify Phoenix Maps by Monday 18th February 2019 with the relevant information. Their email address is phoenixmap@btinternet.com. 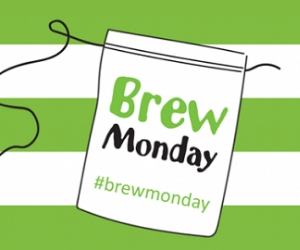 For more information about Brew Monday and the work of Samaritans please click here. Three of Monmouthshire’s community hubs will support The Samaritans’ Brew Monday campaign with fundraising events on Monday 21st January. Nearest to Tintern is the event being held at Chepstow Community Hub from 10am to 12noon with tea and cakes, shared reading and board games. Contact Richard on 07447 642872 or James on 07449 217551. This new enterprise undertakes all aspects of maintenance work for homes or businesses. They will do everything from fitting your bathroom to mending the outside tap, fitting your kitchen to putting up a shelf, rewiring your house or just fixing the outside light. Also PAT testing is available. 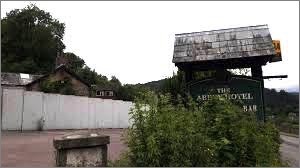 A planning application has been received by Monmouthshire County Council for the development of the Abbey Hotel site and the following planning notice was been posted at relevant positions in the village to notify interested parties. It should be noted this application replaces a previous application issued in 2012 which has now expired. The brief for the proposed development is to provide a high quality residential development on land south of the hotel. 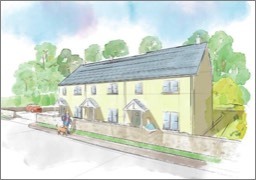 The development will include the construction of four residential dwellings and the conversion of an existing barn. 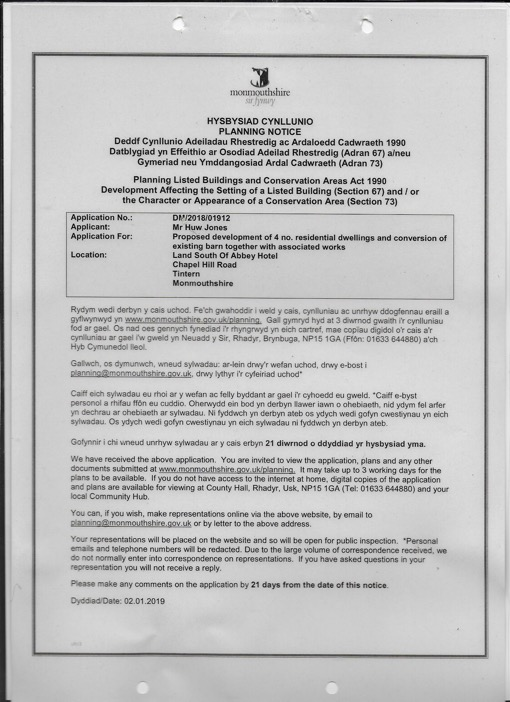 The application reference is DM/2018/01912 and full details can be obtained by visiting www.monmouthshire.gov.uk/planning and then "View Planning Applications". The closing date for the submission of comments is 23rd January 2019. 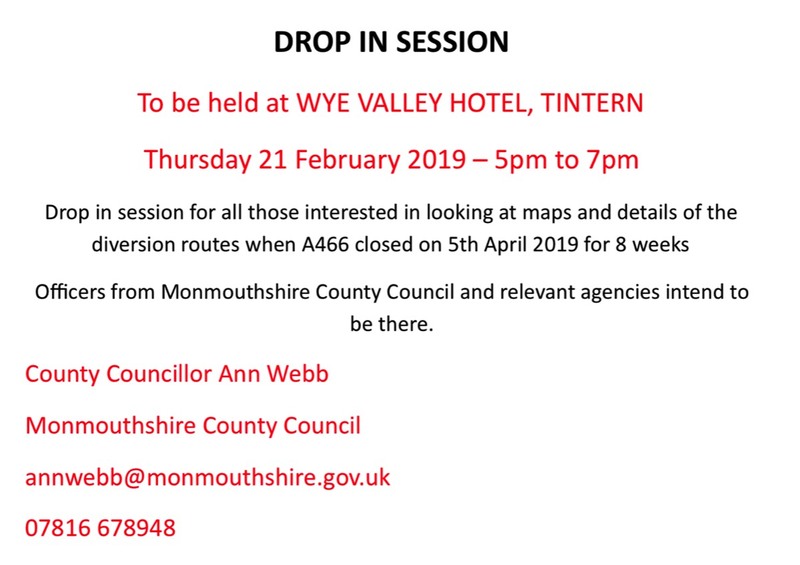 For further information It should be noted the Tintern Community Council has already discussed the application and their comments can be found on the MCC website. Monmouthshire County Council’s area committees are due to meet this month to consider budget consultation and speed management as well as other crucial items. Members of the public are encouraged to attend area committees and they are given the opportunity to discuss matters of interest. 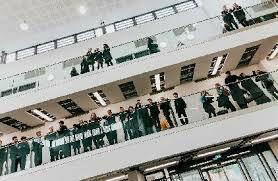 The Lower Wye Area Committee will gather as advertised at 10am on Wednesday 23rd January in Chepstow Leisure Centre. The agenda for each committee features on Monmouthshire County Council’s website a week before they are due to take place. 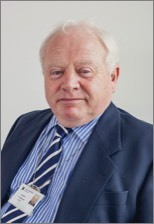 Visit: https://www.monmouthshire.gov.uk/home/democracy-councillors for further information. Just a note of warning. There'll be celebrations going on in Tintern village on New Year's Eve and some fireworks will be in the mix. So, if you have pets please help them to cope with the bangs and flashes. You can go to this ITV page for some great tips. In the meantime, Friends of Tintern wish you a very Happy New Year. Friends of Tintern publishes this website and The Tintern News and also produces the monthly Tintern Film Nights. 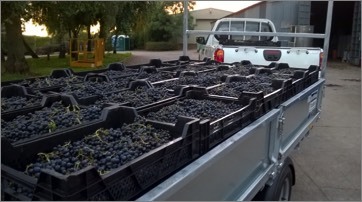 After such a lovely summer, which really suited the vines, we had a very large crop of grapes to pick. The grapes were ripe earlier than usual and we had beautiful weather for the harvest which made it a pleasant (though tiring) task. We would like to say a very big thank you to everyone who helped with picking the nearly nine tonnes of grapes. This is the third largest crop we have had in the twenty two years we have been at Parva Farm. A casual vacancy has arisen for a Councillor for Tintern Community Council to represent Trellech Grange Ward. The vacancy is to be filled by either election (through the request of at least ten electors) or by co-option. You can view the official notice from the Returning Officer for Monmouth on the Tintern Community Council's page on this site or at the Tintern Community Council website. The deadline date for requesting an election is 21st November 2018. The date for the 2019 Tintern Fete has been confirmed. Anyone interested in having a stall can contact Helen Carter at helencarter2006@yahoo.co.uk. Music and other entertainment providers can contact Terina Jones at terina.jones@gmail.com. Interested food outlets should contact Vivien Richards at vivien.richards@yahoo.co.uk. Monmouthshire County Council is alerting parents and guardians of children due to start secondary education next September that the closing date to apply for school places is looming. Children attending Year 6 at primary school will transfer to a secondary school in September 2019, and parents are urged to complete their applications before the 30th November closing date. This will give them the best chance of ensuring that their child attends their preferred school. Parents resident in Monmouthshire must apply to the council even if their preferred school lies outside the county’s borders (excluding schools in Newport where applications are to be made directly to the city council). The completion of an application form expressing written preference for a school is a legal necessity set out in the School Admissions Code of Practice. In addition, while each school within the county serves a specific catchment area, parents or guardians can not assume that their children will automatically gain entry. Parents who submit application forms by the deadline on 30th November 2018 will be informed which school their child will attend no later than 1st March 2019. Contact the School and Student Access Unit on 01633 644508 or email accesstolearning@monmouthshire.gov.uk for further information. Monmouthshire can shout loud and proud that ‘We Do’ recycle! In the biggest and best Recycle Week ever, Recycle for Wales is celebrating Wales being the third best recycling nation in the world. Monmouthshire’s recycling rate is holding steady at 68%. For the 15th annual Recycle Week (24-30 September), Recycle for Wales is celebrating how far we’ve come in increasing our recycling rates and ranking among the top three nations in the world. With a recycling rate of 64%, our next target is to reach 70% as soon as possible and we can achieve this by encouraging residents to make sure they’re recycling all they can from all around the home. Why? Because Monmouthshire DOES recycle. Because it matters. As a nation we are recycling more than ever before, but it’s important that we get it right. Almost half (49%) put at least one item in the general rubbish bin that could be recycled. This Recycle Week we’re encouraging all residents to do that little bit more to help Wales become the number one recycling nation in the world. Recycle batteries, rather than putting them in with household waste. There are collection boxes for batteries at all HWRC sites, at MCC community hubs, at schools and at electrical shops. If batteries are placed with household waste, they will be incinerated, and this process can cause explosions and costly damage to the energy from waste facility. Recycle small electrical items such as toasters, phones, mini speakers, and hair dryers. Take them to the nearest Household Waste Recycling Centre. Food waste is collected every week in Monmouthshire and is recycled. From December the food recycling process will generate electricity at our new biodigester plant. We need more local people to join the food recycling revolution as it reduces the smell of the household bin as well as being greener. Recycle paper and card into red bags and plastics, cans and glass into purple bags. Residents sometimes wonder why all the bags are then loaded into the back of the same lorry and compressed together. Paper and card is of higher value when it is kept separate from other materials. Concerns are sometimes raised that the bags break open when they are compressed in the back of the lorry. The compression is done carefully to make sure there is enough space on the lorry to collect everyone’s recyclables, and the materials are not damaged by this treatment. Next spring collections will utilise new lorries, materials will be kept separate. This is hoped to encourage even more people to recycle and gain increased confidence in the recycling process. Unsure about how to recycle a specific item? Recycle for Wales’s Recycling Locator can show you exactly what needs to go in the recycling bin where you live. Recycle. Monmouth does. Because it matters. What and how we recycle really matters. Recycling an item rather than throwing it in the general rubbish bin means that it will be dealt with in the most environmentally-friendly way, keeping materials in use and out of the environment. 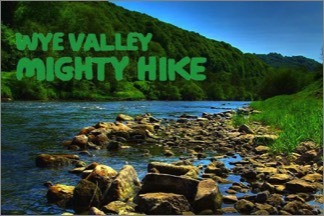 On a very hot August Saturday, intrepid walkers of all ages and abilities took up the challenge of walking 26 miles along the Wye Valley between Monmouth and Chepstow to raise funds for the Macmillan Cancer Support Trust. Out of over 850 starters, 708 walkers reached the finishing line with smiles on their faces despite aching limbs. Well done to all the walkers (including those who didn't quite make it to the end) and the to all the people making donations to this very worthy cause. It is forecast that several hundred thousand of pounds will have been raised. You can find out more about the work of Macmillan Cancer Support here. 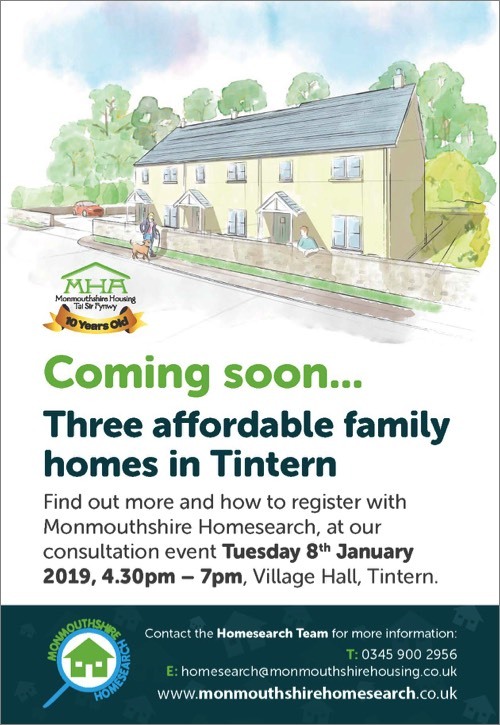 Monmouthshire Housing Association (MHA) are proud to be building three much needed affordable homes for social rent in Tintern. The houses, which will consist of two 2bed and one 3bed family homes, will be located in the Angiddy Valley. Every effort was made to ensure the design of the new homes matched the surrounding properties and blended in with the local area. After winning the tender to build the new homes, contractors Kingfisher Developments (Wales) Ltd started on site in May. The properties have started to take shape, with groundworks will be completed in the next few weeks. It is hoped the 3 homes will be completed by February 2019. As part of the development contractors Kingfisher have installed a permanent noticeboard, so the local community can keep to date with the latest updates about the development. MHA is committed to keeping those in the communities we work in up to date with what we are doing. If you have any questions please contact Development Surveyor, Katie Knill on 0345 677 2277. Interested in renting one of these three new homes? Don’t miss out on your chance to apply when bidding opens. Register your interest with Monmouthshire Homesearch. As a rural exception site, anyone interested in renting one of the new homes will need to have a local connection to the area. Alternatively call 0345 900 2956 to speak to the friendly Homesearch team. The White Monk Gift and Tea Shop has expanded to include further provisions for Tintern Village. They have installed a larger fridge and is now stocking staples such as milk, butter, cheese, eggs, orange juice, bacon and sausages. This is a welcome service to the village, since otherwise you have to travel further afield when you run out of the basics. The White Monk is welcoming suggestions for other items that we would like to see stocked. For more about the White Monk café and gift shop please click here. The annual Tintern Duck Race took place on Sunday 3rd June and despite a delay caused by one of the supporting canoes capsizing (the canoeist was somewhat wet but otherwise OK), the ducks were successfully launched from Brockweir bridge. Onlookers were able to follow the plucky ducks all the way along the river bank in superb weather conditions to the finishing line at St Michael's church where refreshments were served by the fete committee. Proceeds go towards the cost of running the Tintern Fete being held on Saturday, 30th June 2018. 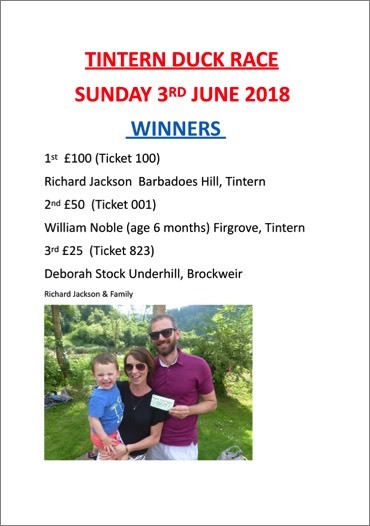 Congratulations to Richard Jackson on winning the top prize of £100 and to our other prizewinners, William Noble and Deborah Stock. And, of course, massive thanks to everyone who took part. Tintern was host to the dramatic Museum of the Moon during the recent River Festival and the Tintern Festivals Association has made a compilation of the poetry read during the 'Meditations on the Moon' event at the Abbey. Click here to see the poetry compilation. Tintern War Memorial proposal. Is anyone interested? I know there is no Tintern War Memorial, but in this hundredth year since the end of hostilities of the Great War, then perhaps Tintern should do its bit in remembrance of those who made the ultimate sacrifice. I would like to see a large piece of Forest sandstone erected in St Michael’s Churchyard, featuring the names of those we wish to remember engraved on a Brass plate. We should also have a ‘Virtual Memorial’ on the village website where we can tell the stories of those we remember. I am not a Tintern ‘Local’ and so do not have that fund of knowledge that comes with being born here. However I do think that Tintern should remember those who laid down their lives and I would be grateful to hear from anyone who would be interested in helping me further the idea of a War Memorial or who can add to the stories that they know about those who made the supreme sacrifice. If any one has other ideas on this subject please let me know. From 5th to 20th May 2018, the Wye Valley River Festival is returning and promises to be bigger and better than ever. 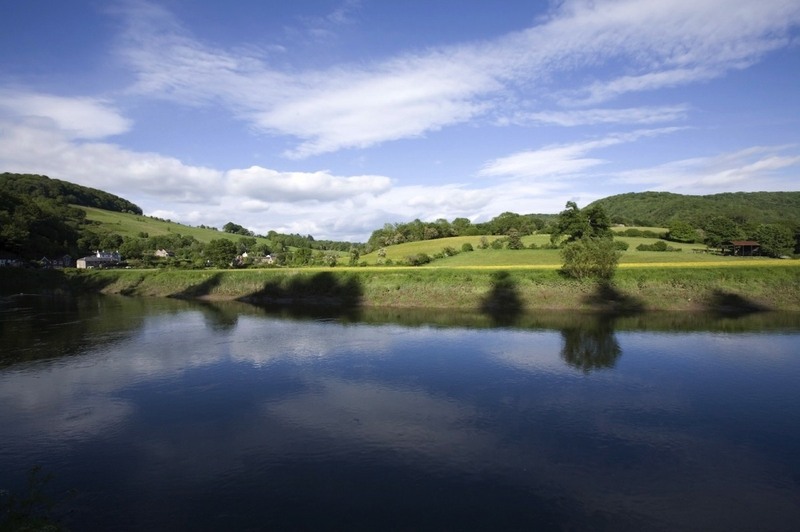 Two weeks of arts, entertainment, wonder and spectacle will be flowing through the riverside towns and villages of the Wye Valley Area of Outstanding Natural Beauty (AONB), as artists and communities celebrate the river and its wonderful woodlands. 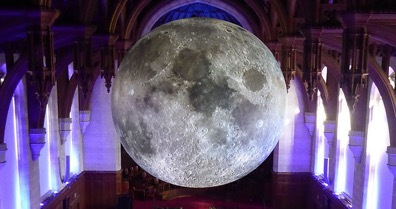 Tintern is playing a major part in the programme, including displaying the Museum of the Moon which is a unique and amazing lunar art installation by international artist Luke Jerram. As night falls, a 7-metre wide fusion of lunar imagery and moonlight, suspended high in the ruins of Tintern Abbey, will be illuminated, accompanied by a surround sound composition from BAFTA and Ivor Novello award-winning composer Dan Jones. 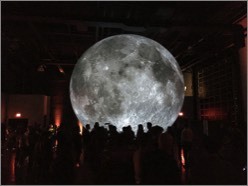 Using imagery from NASA, each centimetre of the sculpture represents 5km of the moon’s surface. The Museum of the Moon will be presented at the iconic Tintern Abbey, in partnership with Cadw, between Monday 14th and Sunday 20th May 2018. Tuesday 15th May 7.30pm, A Moon Talk presented by the Tintern Philosophy Circle in Tintern Village Hall prior to visiting the Museum of the Moon at Tintern Abbey. Thursday 17th May 7.30pm, Passing the Baton. Live music and theatre in the Abbey. Friday 18th May, 6.30 to 10pm, Picnic night in the Abbey. Join the community of Tintern to celebrate the Museum of the Moon. Bring a picnic and enjoy an evening of entertainment. Sunday 20th May 7pm onwards, Moon Bathing in the Abbey. A guided meditation with poetry readings. Please click here to see details of all that is happening in Tintern. You can visit the River Festival website to get news on what is happening across the whole Festival. THE ANNUAL VESTRY MEETING of the Parish will be held on Tuesday, 8th May, 2018 at 7.00pm for a 7.30pm start in St. Michael’s Church. This meeting will be Chaired by the Reverend David McGladdery, Area Dean of Monmouth. All lay people whose names are on the Electoral Roll of the Parish are entitled to speak and vote and are strongly urged to attend the Meeting. As part of its widening of democratic participation, Monmouthshire County Council is holding a meeting at Chepstow Leisure Centre on Wednesday 25th April 2018 at 10.00am. Of special interest to Tintern residents, Included in the Agenda is: A466 St Arvans to Tintern - the present and the future. The impact of the removal of the Severn Bridge tolls will also be discussed. A full agenda is available here from the Monmouthshire County Council website. 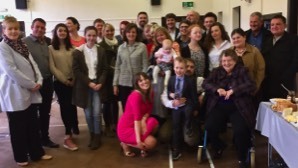 A family gathering together with a great number of friends at Tintern Village Hall following the Christening of Alice Kay at St Michael's Church, Tintern. A fantastic food spread was put on and there was a very beautiful baby to admire. Congratulations to the proud parents, Rhiannon Haf and Joe Carter. Pop over here to read the latest issue of The Tintern News so that you don't miss anything affecting the village. Friends of Tintern is selling its Ricoh MP4000 Photocopier with Booklet Maker. £250.00 or near offer. Friends of Tintern are disposing of their photocopier. It was used regularly up to one month ago to produce the Tintern News. Now that production has passed to a commercial printer, there is available this Ricoh MP4000 Mono Copier plus integrated Booklet Maker. It copies 40 pages a minute and is in perfect working order, having been maintained from new by the supplier. Buyer to collect. Contact Allan Reid allanreid8@btinternet.com. The Royal George Hotel, Tintern is now owned and managed by Harriet Babbage and Richard Secular who until recently had the stylish BroadRock B&B in Woodcroft, near Chepstow. The Royal George has a temporary web page here and much more detail on its new food offering and plans for the future will appear there and on its page on this site in due course. County Councillor Ann Webb has emailed to say the road between Tintern and St Arvans should be open on Thursday 29th March with traffic-light control. "Following the recent temporary closure of the A466 by MCC, we have been notified that the road will be open again by Easter, but will probably be operated with temporary traffic lights. We understand that there will be a further road closure later in the year to finish essential work at the sites. We realise that residents have been unhappy about the recent closure and inadequate signage of diversions. If you have any suggestions how future closures can be more effectively implemented or any specific issues you wish to raise please contact us in time for our meeting on the 30th April." 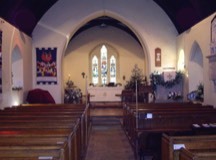 Special Easter services at St Michael's Church, Tintern. For details, please click here. 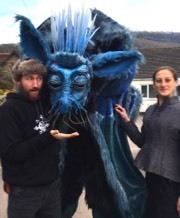 The incredible creature Maisy, found wandering outside the village hall on Wednesday 21st March with her friends Kim (left) and Illy. They're getting ready for their Easter weekend at Raglan Castle. You can find out more about Maisy and her friends on the Los Kaos website. Yes, the fabulous Rock Choir, who were such a hit last year with their sparkling musical programme and wonderful voices have been signed up to open the fete again this year. The only difference - we will get to hear more of them. They will be singing for three sessions throughout the afternoon instead of two. You can never have too much of a good thing! CADW is changing local resident passes. Local resident Pass holders will need to exchange them for Cadw Monument Passes. See details on the Cadw website.